Whoa, wait a minute. Did we hear that right?!? Is it too soon for us to wish you a joyful CONGRATULATIONS?! Don’t worry, we won’t tell anyone. We’re really good at keeping secrets! 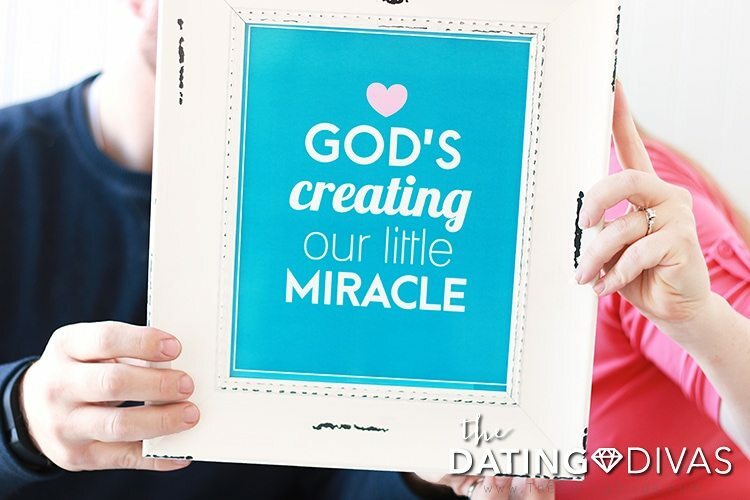 A baby on the way is exciting and life changing news! Now you just have to decide how to share your pregnancy announcement… Our Pregnancy Reveal Surprise Box has everything you need to share your fabulous baby news in a memorable way to your spouse, family and friends. Let the secret out and spread the joy that’s been overflowing from your heart! Box Embellishments – Announce your happy news with a little flair! 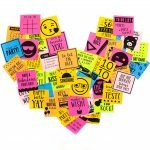 We have loads of personalized printables to make your surprise box personalized for the most important people in your life. A cute Box Tag will get them excited to open their gift without giving away the surprise. Our cute Printable Box Flaps will have them jumping for joy the minute they open the box! 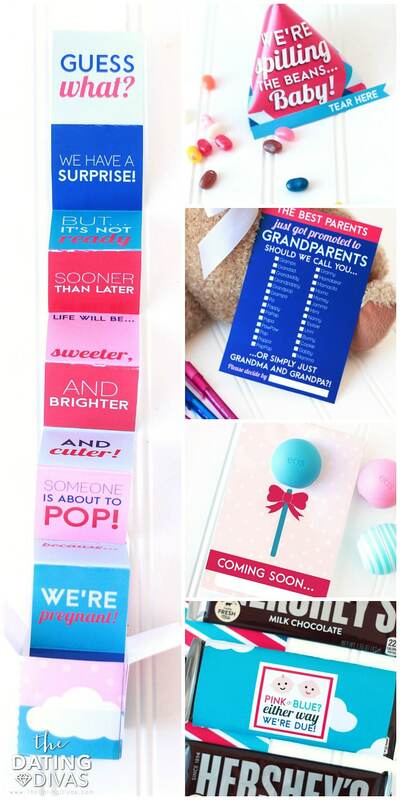 Gift Tags – Fill your Pregnancy Reveal Surprise Box with cute gifts for your family and friends to make your announcement even sweeter! Add our Gift Tags for a thoughtful touch. Printable Gifts – Surprise your spouse, family, and friends with these easy printable gifts! 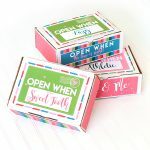 Jelly Bean Treat Bags, Candy Bar Wrappers, and a Lip Balm Card are just a few of the fun reveal gifts you can include for your loved ones. 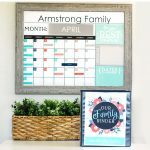 Pregnancy Announcement Signs – Share your baby news far and wide with our Pregnancy Announcement Signs! We have three distinct designs to choose from. Frame your favorite sign and add it to the reveal box for a treasured gift. They would also be the perfect addition to any pregnancy reveal photoshoot! Your pregnancy announcement all wrapped up in one special box! Use our Printable Box Flaps to dress up the surprise and fill the box with everything baby! We’ve included different flaps for everyone in the family and we mean EVERYONE! Print as many as you need. Add our Pregnancy Reveal Box Tag for an extra special touch! We didn’t want to give the surprise away with the box tag, so we left the text pretty vague. Watch carefully while they open the box. Excitement is about to ensue! Our Pregnancy Reveal Gift Tags add a personal touch to each gift. Your friends and family are sure to smile from ear to ear as they read each tag, open each gift, and celebrate your sweet baby news right along with you! There are so many cute tags that we didn’t have room for all of them, but here are a few of our favorites! Add a few extra special items in your Pregnancy Reveal Surprise Box with these sweet Printable Gifts. However, these cute gifts are great enough to stand on their own. Each one lets the recipient know there is a stork on the way! Ready to spread your news in a photo? A picture is worth a thousand words! Use our Pregnancy Announcement Signs to share your news with the perfect photo. You can include the photo in your Pregnancy Reveal Surprise Box or slip in the signs for a special family keepsake. They would also be the perfect addition to any social media (Facebook and Instagram) pregnancy announcement! Many of our printable kits are large and require several pages of printing- something to keep in mind before purchasing! To save ink and money, we recommend printing ONLY the pages with printables on them, not the instructions and cover pages. Use a website like smallpdf.com to select the specific pages needed and split the PDF. Now that there’s a baby on the way, put your feet up and let us help you out a little more. You’ve got to check out our Baby Shower Bundle! 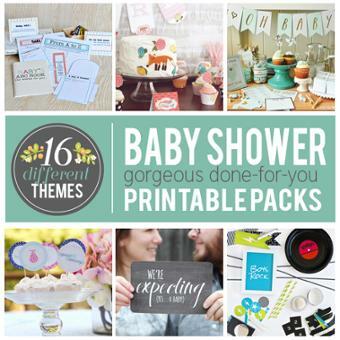 It’s packed with 16 of the most DARLING themed baby shower ideas and printables! While you’re at it, take a look at our New Daddy Bundle! The perfect way to celebrate this moment with him! 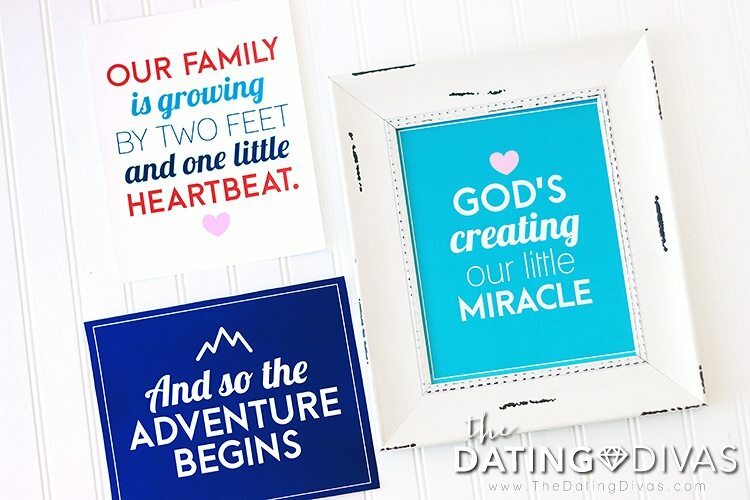 Once the baby comes, surprise your spouse with an Our Love Story for Baby Binder! Share your personal love story with your new baby for a treasured family keepsake. One of the cutest announcements I’ve ever seen! !